Unbeknownst to most novice Saltwater aquarists who consider most fish to be low-maintenance, there are certain precautions and advisory precursors to consider with certain saltwater species. It is imperative for a beginner to keep saltwater fish that have a relatively high tolerance towards environmental changes and as such understand that maintaining an underwater ecosystem can be a laborious job and any small changes could be detrimental to certain fish. It is paramount that aquarists must examine Saltwater fish Compatibility levels, Hardiness to survive, Cost of purchase and sustainable maintenance and feeding methods. 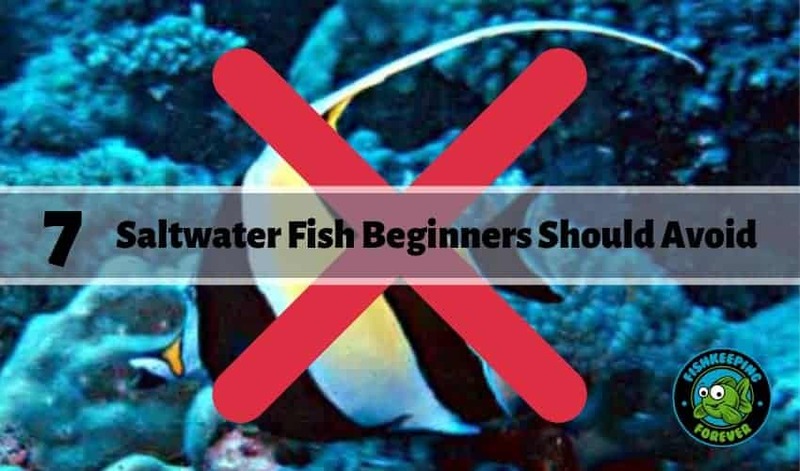 On this article 7 Saltwater Fish Beginners Should Avoid, we’ll look at some of the species often sold to novice saltwater fish keepers which nearly always die within the first few weeks and even days. There are more species that will struggle in a newly setup aquarium and ones that a beginner will find hard to keep and feed. But we have focused on the 7 most popular saltwater fish that are expert level only and not suitable for a beginner. The Green Mandarin Dragonet (Synchiropus splendidus) also referred to as the Mandarin Goby has origins in the Indo- Pacific region, specifically from the Ryukyu Islands south to Australia. 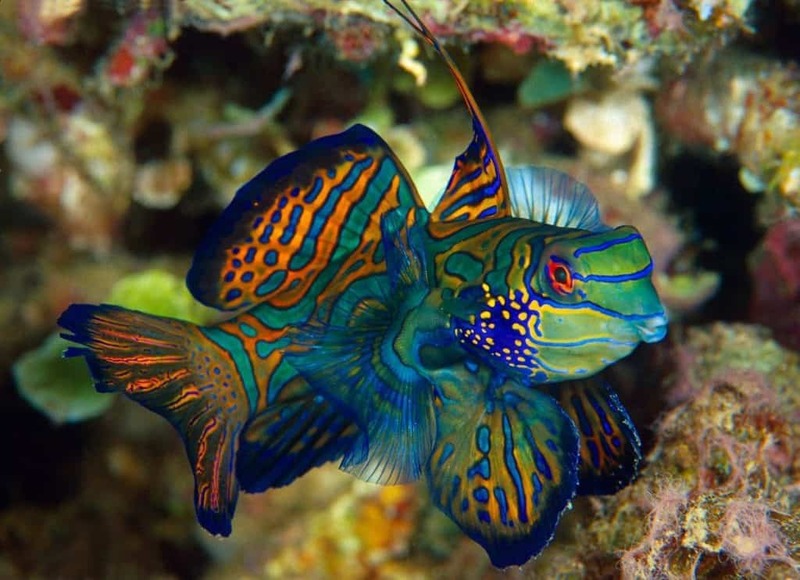 Popular in demand due to its visually pleasing and aesthetic physicality, the dragonet is indeed one to be avoided. For starters, the Dragonet in itself is a non-violent organism and therefore requires a very harmonious habitat within which to thrive. They are slow when it comes to competing for food with tank-mates, which is one of the many reasons they die of malnutrition. An amateur aquarist must first be able to master the art of aquarium husbandry which includes selecting compatible aquatic inhabitants, catering to the management of all organisms within the aquarium such as maintenance and water quality. One such element of this practice is setting them up in an established tank, not a beginner’s tank, adhering to their painstakingly specialized diet requirements and regulating a specific optimum survival temperature within their tank of around 72-82 degrees. Accommodating their finicky nature means the provision of a significantly large supply of amphipods and copepods i.e. small crustaceans to complement the Dragonet’s development. 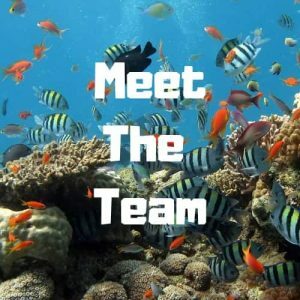 Most experienced saltwater keepers will have a refugium underneath their main aquarium where they can breed sufficient copepods to keep them well fed. However, keeping Mandarin fish alive in a home aquarium proves challenging even for advanced hobbyists due to their high demand of copepods, which if not met usually leads them to inevitably starving to death. Weaning Mandarin fish off of live food and getting them accustomed to more easily available and nutrient-dense foods have proven to be the only successful method that promises survival. For someone just starting off, the act of training them is not only difficult but realistically impossible as it prerequisites significant coaching and experience. Additionally changing their behavior will require the exertion of a substantial amount of time and effort seeing as the modification could take weeks or months. Even more troublesome is their voracious appetite which can be owed to the fact that they have no food storage system meaning the risk of deprivation is exponentially increased. Additionally, the Dragonet is equipped with tiny spines that inject toxic mucus when faced with extreme stress or threat. The health hazard is considerable especially when netting, shifting or removing the Dragonet from the aquarium. They have been known to wipe out a whole aquarium when first introduced into their new home when being harassed by more boisterous inhabitants. The Moorish Idol (Zanclus Cornutus) from the Zanclidae Family is an omnivore that originates from Hawaii. This famous reef fish is known for its bands of black, white and yellow and is dubbed as notoriously troublesome for aquarists. Ranking worst in the list it has a very high mortality rate, with life expectations in captivity up to only a week or two without expert care. Their life demands a lot of prior experience and preparation. Considering that these fish can grow up to 8-9 inches, a spacious aquarium is vital. A single Moorish idol requires at least 125 gallons and a pair up to 200 gallons i.e. not an easy feat to accomplish. A well-established tank where they can graze on algae should be the ideal home with an impeccable water filtration system, reef-quality water and non- stop energetic water movement. Tight confines result in death. Using top quality marine salt, we use Instant Ocean and use RO-DI water when performing regular small water changes is a must. Do not underestimate the importance of top quality water with these fish. Even in the ocean, they seek out the most perfect water conditions including temperature, food, current, and safety. The highest cause of worry, however, is their sensitive eating habits. The most likely cause of death would be via starvation because they refuse to feed (lack of acclimatization) or malnutrition (very specialized dietary needs e.g. Vitamin-enriched foods, Pellet foods, sponges etc.) As they are slow and extremely selective eaters, it is tough to provide them with sufficient diets and impossible to keep with fast feeding tank-mates. These frequent and unpredictable eating behaviors cannot be monitored by a novice keeper. These greatly territorial fish have high social needs as in the wild they exist in groups, without a pair they are more likely to die. But in pairs and in overcrowded enclosures they are more likely to bully tank-mates. Issues of dominance arise with feedings and a pair must, therefore, be trained separately, a task only achievable by someone well versed in training. Another cause of apprehension is their vulnerable health. They are easily disease-prone to Marine Ich if the water quality is not up to par if they are stressed out by other fish or even during relocation (quarantining issue). Filefish (Acreichthys tomentosus) or Aiptasia Eating Matted Leatherjackets are found inhabiting originating from Indonesia are most commonly the Atlantic and Gulf of Mexico in Florida. Caution must be taken with coral and invertebrate safety. Despite being ranked as relatively tolerable fish, they exhibit numerous drawbacks. Firstly, it isn’t considered “Reef Safe” it displays tendencies to nibble on soft and high corallivore affiliation towards SBS corals making it to the list of non-reef safe species. Best Seaweed Fish Food Here! They require a diverse array of food to be delivered numerous servings (4-5 times) throughout the day such as coral polyps. In the beginning, it will be difficult to be sure that they are eating as they habitually shy away. Knowing when, where and how to place the food will be trial and error experiment. Therefore, starting out with such a tedious breed, especially for newcomers will probably result in an undesirable mortality rate. Secondly, they are deemed semi-aggressive in that they have a penchant towards vicious behavior with smaller fish except its own. An omnivore belonging to the Pomacentridae family and commonly found in the Indian and Pacific Oceans, the alluring low-cost and economical purchase of the intensely bright colored Damselfish are accompanied by detrimentally intense traits of territorial and general aggression. With their community aggression driving their temperament, it is not uncommon to witness them bite hands dipped into the aquarium. They are prone to claim large areas of a tank and complete areas of smaller tank regardless of the tank occupants. Hence a pretty big aquarium would be needed to eliminate any possibility of instigating aggression. More often than not they are seen to be chasing and nipping at fish they think have imposed upon Damselfish terrain. Considering putting different Damselfish species is out of the question and in a small aquarium keeping fish from other species is also a hazard. The only way to deal with their territorial acts is to introduce them to the tank last and to vigilantly monitor them at all times. There are very few semi-aggressive species with which they are compatible that includes Gobies, Dartfish, Puffers, Tangs, Clownfish and Hawkfish. These fish are often offered to the beginner due to their hardiness and low price but they are very aggressive and will become little bullies if introduced first. You have been warned! With its distinctly noticeable black-bordered yellow stripes adorned on a silver body, the Copperband Butterfly (Dascyllus Aruanus) also known as the Beaked Butterflyfish is an omnivore with Indo-Pacific origins. It is readily available, extremely affordable and very likely to die within a month due to its fragile nature. It is relatively coral safe and invertebrate safe but they have been known to nip at both which can cause them to die. The preparation of living conditions is a major factor to consider with regard to Copperband’s, mostly because it is difficult to acclimatize and requires a sizable amount of varied diets such as worms and anemones to feed on. This is where we see our first red flag, as a beginner taking on both a marine animal and a Sea Aiptasia Anemone is a considerable challenge. Anemones are a sensitive organism and themselves require copious amounts of care and attention in a saltwater aquarium to ensure survival. Considering a large number of worms and anemone requirement the, frequent need for feeding and dietary hazards the cause of death ends up being starvation within a reef aquarium. For a decent standard of living, they will require a large aquarium with plentiful micro life, which to maintain successfully is in itself very demanding and rocks within which to hide and dwell. Taking into consideration the aforementioned, it also must be made clear that when first introduced to a new tank they may completely refuse to eat. Seeing as they are pretty defenseless if they are kept with threatening tank-mates they have a tendency to jump out which may lead to premature death. Although relatively docile, they also tend to show aggression towards members of similar species. The Six Line Wrasse of the Labridae family (Psuedocheilinus hexataenia) can be found in the Coast of Fiji with Indo-Pacific reef origins. It is relatively coral and invertebrate safe. With its distinctly contrasting horizontal blue lines splayed across an orange body, the carnivorous Wrasse is one of the most tedious fish to take on board. After the acclimatization sensitivity is overcome, initially it seems unthreatening but within a span of 3 months, you will notice a drastic change in behavior, therefore earning the title of a severely problematic beast. Without many indicators, expect the establishment of its territories to happen quickly and it will start to take over and bully most if not all inhabitants. 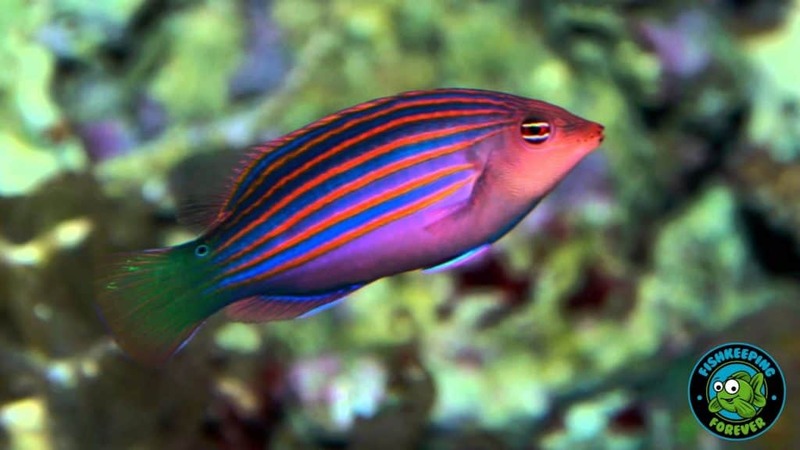 Wrasse will massacre all other marine life that resides in the same aquarium for no reason. The carnage ranges from aggressive beatings to sometimes even complete annihilation of fellow inhabitants. It must be kept singly as they refuse to co-habitat with members of the same species. It is also known to pose a minor threat to crustaceans such as crabs and shrimp. Read our article on the Best Saltwater Shrimps. Apart from its abominable social demeanor, it commonly vaults outs of open aquaria and requires several feedings. Blue Tangs (Paracanthurus Heaptus) also referred to as The Regal Tang or Powder Blue Palette Surgeonfish from the Acanthuridae Family is easily identified by its extraordinarily one of a kind black inking all over its electric blue body. It is an herbivore that originates from Fiji, Indonesia, and the Maldives. It undoubtedly falls into the category of a species that should be taken care of by experienced aquarists due to the level of commitment expected. Made famous from the film ‘Finding Nemo‘ this fish shot up in popularity in 2003. Their price went through the roof and their availability became limited. They were fished in huge quantities to feed the public demand. But sadly most perished within weeks. Due to its avid swimming nature and potential to grow about a foot in length, it requires a very large tank, approximately 6 feet (ideally a minimum of 100 – 180 gallons of water) in length, as anything less will not only stunt its growth but lead to negative behavioral issues. It must also be supplied with a highly oxygenated, strong flow of water circulation to maintain ideal health status. A tightly fitted lid aquarium would be required as they do jump out. Even though it’s usually mild-mannered in general and with other species, it has habitually portrayed hostile and fatal behavior towards all other forms of tangs. They fight to the death; a huge drawback is considering that the cost of acquiring a Blue Tang is over $200. The only way to retaliate from this behavior is to introduce an entire group into a large pre-existing marine scheme or keep them singly. What is even worse is the fact that it is highly susceptible to protozoan diseases such as fin erosion, head, and lateral line disease, Marine Ich and other skin parasites. Quarantining to safeguard them is a mission not suitable for someone lacking the know-how to do so. Furthermore, its compromised, sensitive immune system means that special dietary considerations such as high vitamin and seaweed feedings must be taken into account. Hence, for novice hobbyists, this overwhelmingly high degree of devotion to their care can seem too intimidating and therefore objectionable. One must ensure at all times that the water is of the highest quality, the Tang’s are at all time free of stress from other fish and to be very carefully relocated. To do all of this you must have enough knowledge to identify when and if your Tang portrays symptoms of ill health. What’s more is that extreme vigilance must be practiced when handling Tangs because getting cut from its scalpel will invariably result in discoloration and swelling of the skin with a high risk of infection and hours of pain. If you have a large saltwater aquarium that is mature and has perfect water qualities then don’t let us put you off keeping anyone of these amazing fish. However, if you’re new to the game and have a newly established aquarium under 1 year old then don’t even think about buying one of these fish. They can be kept successfully but the odds are not in your favor. It’s our responsibility as fish/pet owners to give the fish we buy every chance of thriving and these fish listed above the 7 saltwater fish beginners should avoid are simply too risky to keep in a newly setup aquarium or for beginners. There will always but the odd few that survive and people may comment saying they purchased one and had no issues at all. That’s great but I bet we don’t hear from the thousands of owners that lost one of these poor fish for one or any of the reasons above. Let us know how you got on and what was the first few fish you added to a newly setup aquarium. Good luck with your aquarium and happy fishkeeping forever!